Optimist Sailing is without a doubt a unique class among the wide range of existing fleets in the Sailing World. Targeted solely for kids, none has got the history, the curriculum and the reputation the Optimist Class enjoys around the World, and that’s why it has remained almost untouched, respecting it’s design, since it was introduced a long time ago. Being the introductory class to the youngest athletes in this sport, I find sailing one of the most complex yet exciting sports a young athlete can be exposed to. The wide range of skills this young sailors are introduced to since a very young age (technique, fitness, tactics, rules, strategy, meteorology and so on) shape them not only as athlete but as a whole person for the rest of their lives. Especially in this particular young age, the coach & athlete relationship is very analogous to a teacher & student relationship one might find at school. In their young years, the exposure they have to different inputs coming from different places is off the charts; and as a Coach, I believe we have quite a strong impact on how the sailor will sail for the rest of their life. This comes with a very strong responsibility, because at this age a person develops her or his own personality, and coaches can really make a difference. Throughout the years I developed many sailors around the World (Spain, Myanmar, New Zealand, Iceland, USA) and I recognize the need of finding a point of balance when it comes to parents and their degree of involvement in the Opti Sailing Career of their child. Particularly in the Optimist Class, parents obviously are the sponsors, whom invest in their children and their passion for Sailing. Coaches are part of this investment, and because this unique situation, I find it essential to engage them in the process. 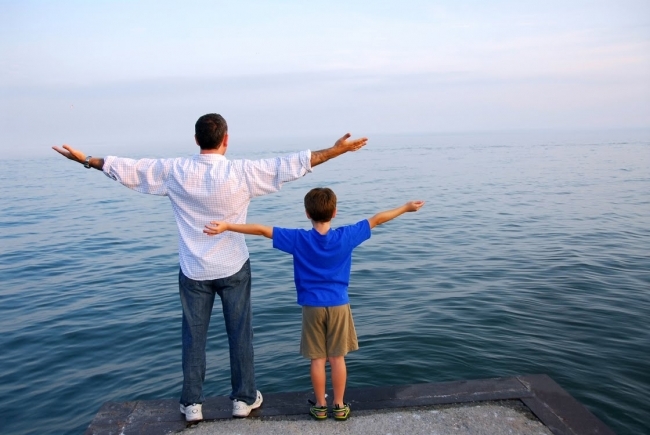 The significant investment in time, money, and effort made by parents is evidence of their desire to help develop. This desire should be channeled in the right direction for the sailor. In my experience, the Coach & Athlete relationship develops from mutual respect, a sort of give and take, and obviously from providing the sailor with the necessary knowledge and support so he/she can reach his/her goals in the future. How do we fit parents in then? How can we, Coaches, engage the parents in a way they feel involved but don’t step into our job? I don’t really have an answer for it, but I learnt that honesty and communication can make a big difference in whether the sailor benefits from it or not. 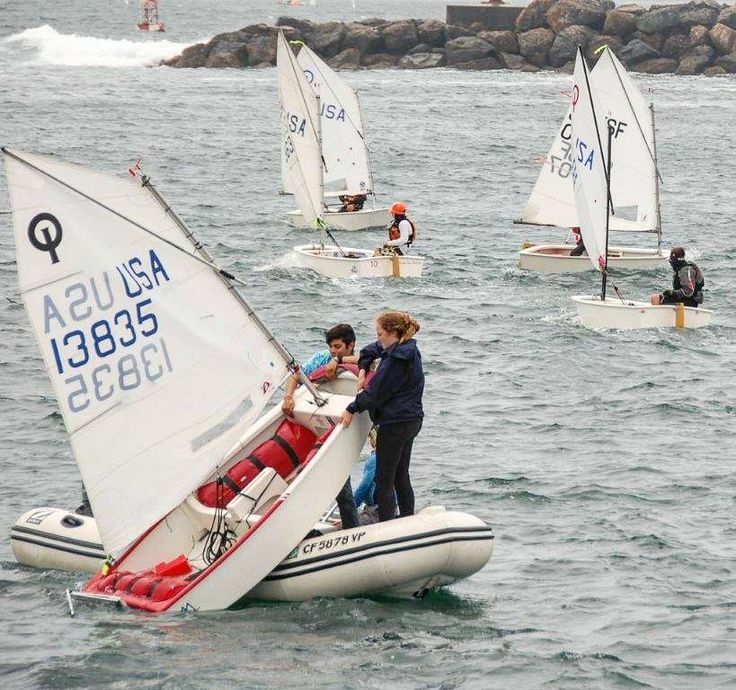 I’m no parent, but I understand how difficult it might be to send your child out on the water and not being able to know if he’s alright, if he’s having fun, if he’s sailing fast.. maybe these are the reasons why we see the increasing number of Parent Boats in the water following races as spectators in the last year. Don’t get me wrong, I do believe having them in the water following races it’s a great step forward, you can do it in any other sport as well, and it only benefits the Sport to keep growing up. What I’ve found challenging in my experience is when the sailor comes from a family with a background in Sailing, where sailing is a topic in any lunch/dinner and one of the parents (or both) might be very accomplished sailors in the present or in the past. 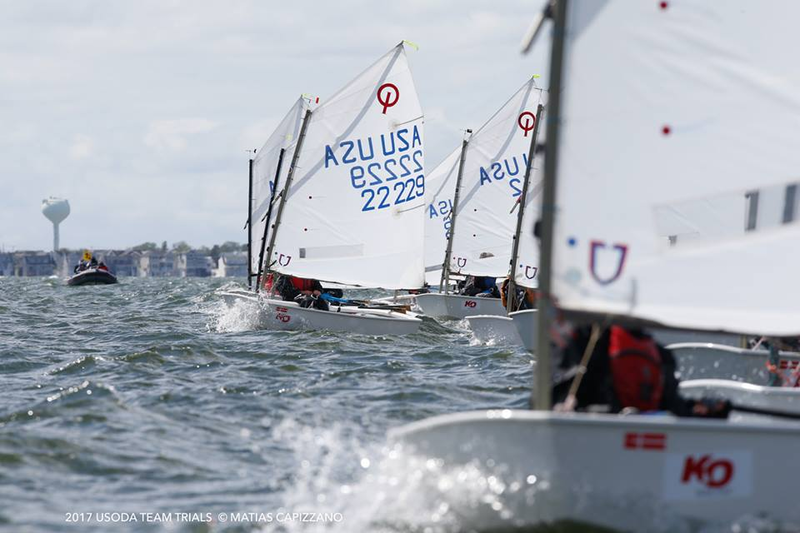 At this point, the Coach & Athlete relation should be strong enough for the sailor to put the Coach’s opinion and instructions ahead of the parents possible opinion on the start strategy or the last tack when finishing the upwind. I say challenging as the sailor will always be exposed to feedback coming from both ways (Coach and Parents) and it can turn very challenging if this feedback isn’t similar. In order to be similar, the Coach and Parents should work together to provide the sailor with the appropriate information, and mutual trust plays a big part in order to show the sailor that we all row in the same direction. Optimist Sailors are amazing little persons, who face challenges in the water everyday, and it’s important for them to know they have the Coach and the Parents support all the time. In order to accomplish that, I strongly believe information has to flow from Coach to Sailor and from Coach to Parents so we keep our extraordinary young athletes engaged and focused in sharping their skills in order to achieve all their dreams. This is a great article showing the relationship between the young sailor, parents and the coach.